Save $1,500 per couple off this river cruise. Expires April 30. Click here for eligible departures. 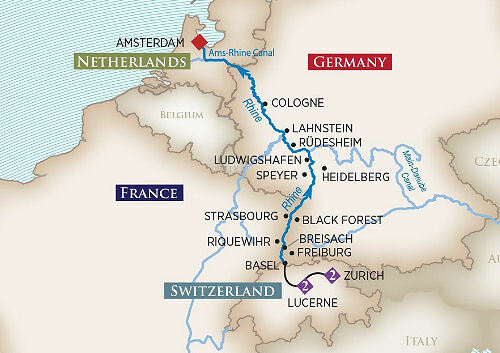 Ring in the New Year with AmaWaterways aboard this special cruise. On the night of the 31st celebrate with a lavish dinner, festive decorations, a champagne toast and dancing in the ship's lounge. Join us for the festivities.